The iPad lock screen is not that much of a rare problem. There are many iOS users who regularly put a query on forum websites to know how to unlock iPad without a passcode. Usually, when you forget the passcode or someone else tries to unlock your device without your permission, this situation is faced by the users. But once the iPad is locked, does it really matter who ended up locking it. the only concern will be the method to unlock the iPad. So, in this article, we are going to learn the possible methods to fix the iPad lock screen issue. How to Unlock the iPad without Password? After entering the wrong passcode for 9 times, your iPad will be disabled permanently and your only choice will be to reset it. For this, you have several options but whatever you try, the loss of data is almost irrefutable. Some methods will allow you to make a backup first, while the others will only reset the iPad. You can try any one of the methods according to your situation. Step 1. Launch iTunes on your computer and connect your iPad with it. As the device has already entrusted the computer, the connection will be successful and your iPad will be detected by iTunes. You will be able to see the device icon on the top left side of the iTunes interface. Step 2. Now, go to the Summary tab and you will be a Backup Now option. Tap on it to create a backup of your device data first and wait until the backup is finished. Step 3. Once the backup is complete, tap on the Restore iPad option and you will get a popup message asking you to confirm the action. Tap on Ok button and your device will be reset. Luckily as you have already made a backup, while you are setting up your iPad, you can restore all the data from iTunes backup file. Step 1. Begin with launching iTunes on your computer. As your iPad is disabled, it could be detected by iTunes. 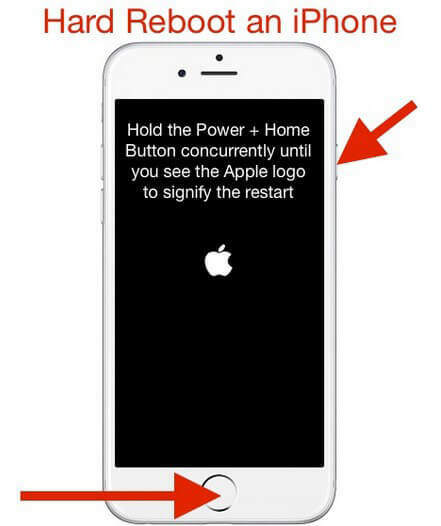 so, press and hold the Power button and Home button simultaneously for almost 10 seconds until you see an Apple logo on the screen. Step 2. Right at the moment when your iPad gets in recovery mode, iTunes will notify you that it has detected a device in recovery mode and ask you to perform a restore before you could use it. Tap on the Restore option and iTunes will reset your iPad and remove the passcode with it. But unfortunately, you will end up losing the data of the iPad. But you can still restore some of it if you had an iCloud backup. See how to restore iPad from iCloud Backup. Step 1. Open the iCloud's official website and log in to your account using Apple ID and password. Once you log in, from the interface, choose the Find my iPhone/iPad option and you will be directed to a map. Step 2. Then open the device list and select your iPad. This will display three options on the screen. Tap on the Erase iPad option and iCloud will reset your iPad by erasing all content and settings. The iCloud reset will also erase all your data and if you didn't have a backup, you will surely lose some of the files. Step 1. Download and launch the software on your computer and connect your iPad with it. Select the Repair Operating System function and get to the next screen. Step 2. Now you can start the process but you will be prompted to download or import a firmware package first. If you already have the file, then you can directly import it, if not then the software will download the file first. Step 3. As soon as the firmware is downloaded, you are ready to start the repair process of the iPad. Tap on Repair Now option and the process will initiate. It will take a while to finish the process and you iPad will reboot on its own when the process is complete. So, you will have access to your iPad again and still have all your existing data in the iPad too. 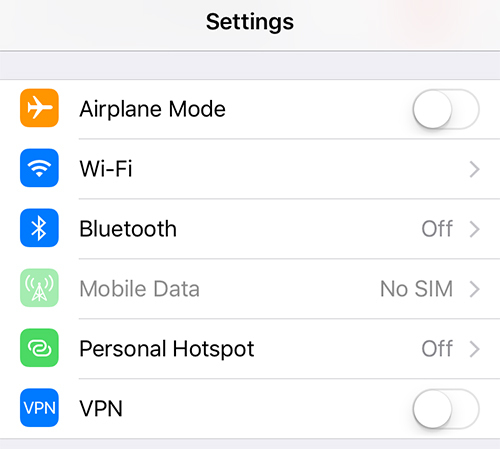 Even though Apple provided a way to restore the iPad lock screen via iTunes, but still the method leads to loss of data. And ultimately the users are left with options like third-party software. But fortunately, Any iOS System Repair (ReiBoot) is here to help the users in such conditions. Whatever the problem is, you will be able to recover your device easily and quickly with this tool.